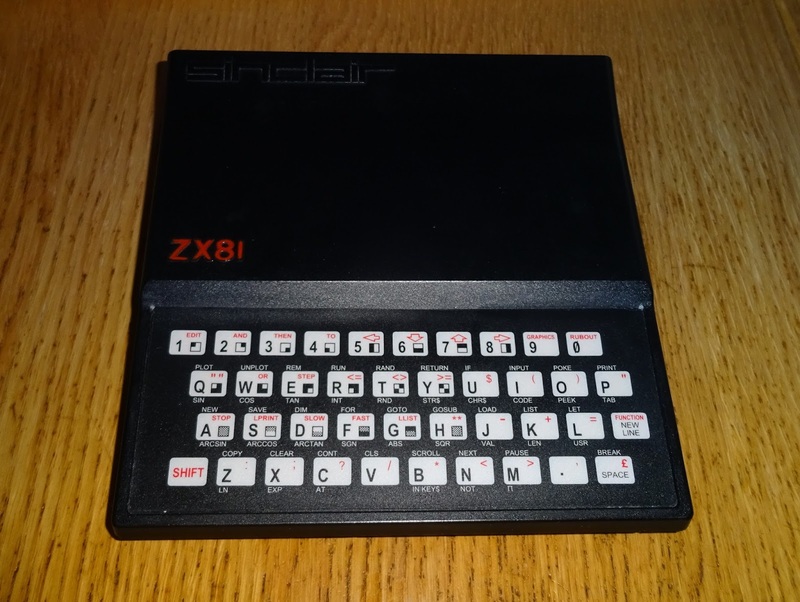 Like many machines of it's generation, the only output from the ZX81 is a UHF television signal. 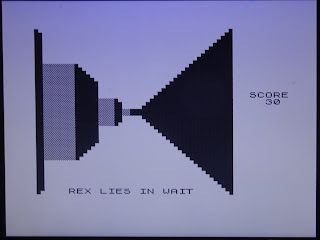 Analogue tuners in Modern TVs (if they even have them) don't like the approximation of composite video the ZX81 generates. Even more so the earlier version with the 2C184E ULA which is missing part of the signal. I've done composite modifications on ZX81 in various ways in the past, usually by fitting a transistor amplifier inside the modulator. Using through hole parts, bending the leads and soldering them to the appropriate place.I though I would try a neater approach. 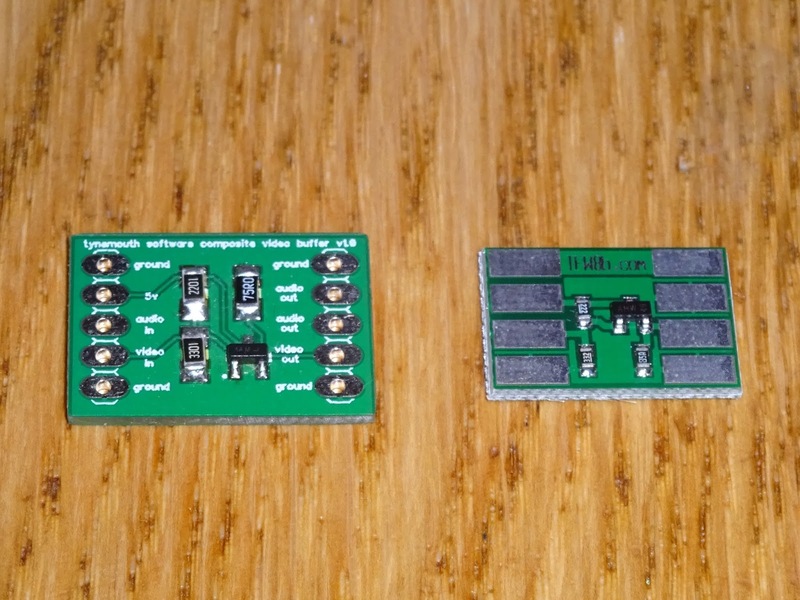 I had made some PCBs to make the same job on the Atari 2600 easier, on the left below. 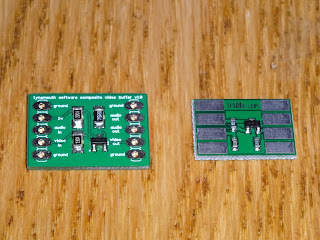 I also had some boards from The Future Was 8 Bit (on the right), which were a bit smaller, and didn't have the holes in. 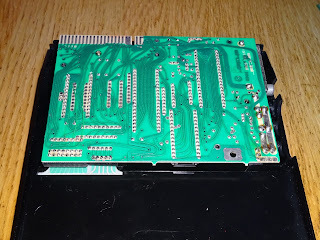 They were a better fit here as there are no connections on the back of the PCB, so I can just rest it on the original modulator circuitry. 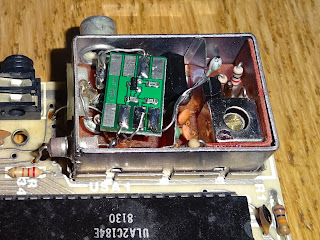 You could remove the original modulator PCB if you like, but there is enough space to just leave it in place but disconnected. 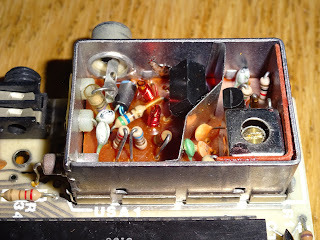 I have disconnected the two original modulator connection wires inside the modulator, where they entered the PCB. The left hand one is the video signal, I replaced that with a longer piece, soldered to the same point on the ZX81 PCB. 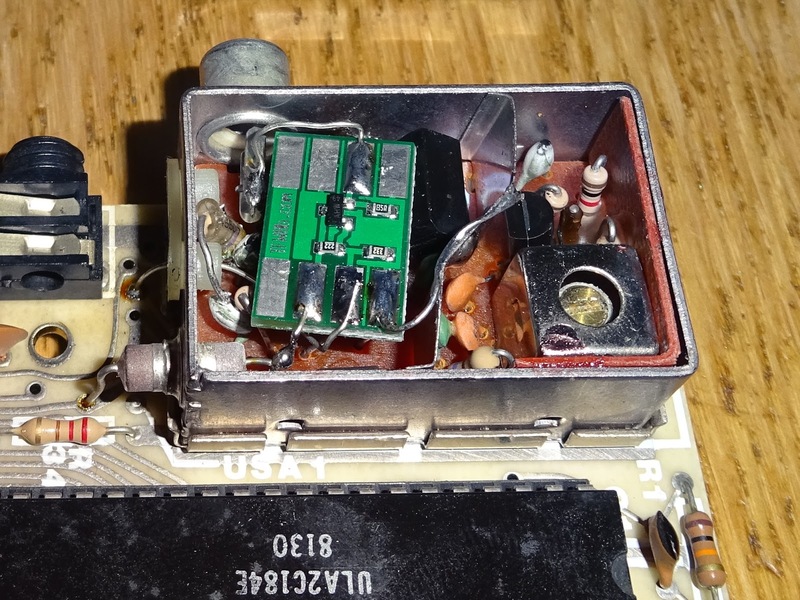 The right hand is 5V, fed through a bulkhead capacitor. I extended that wire inside the modulator. 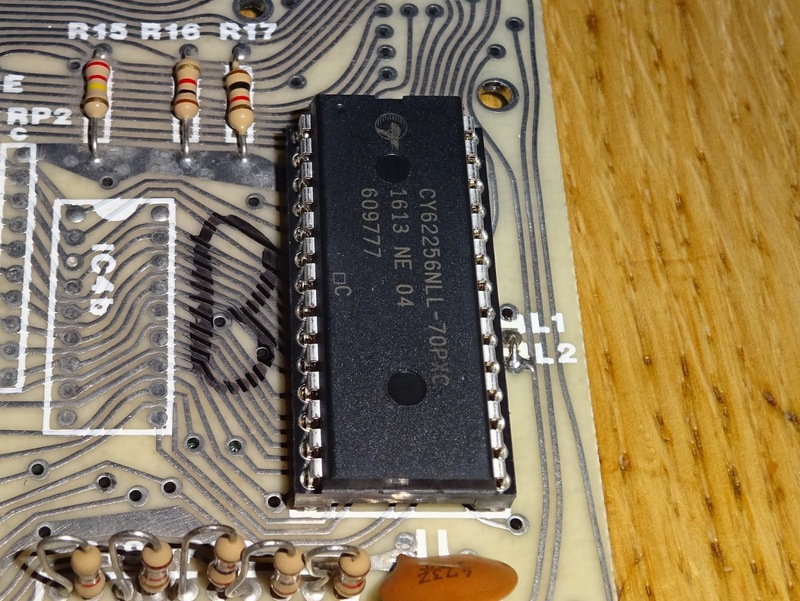 Those were soldered to the pads on the PCB. 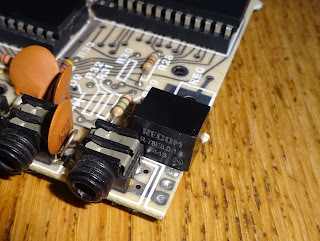 The output of the modulator was desolderd from the phono connector and folded back to the board, and a new wire connected to the new PCB. 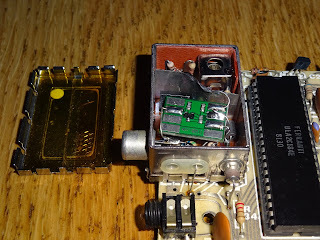 Finally a ground wire was soldered to the modulator case. These wires also serve to support the PCB. It does not touch the top of the case, but I added some kapton tape for insulation anyway. The picture was very sharp and clear on the LCD TV. 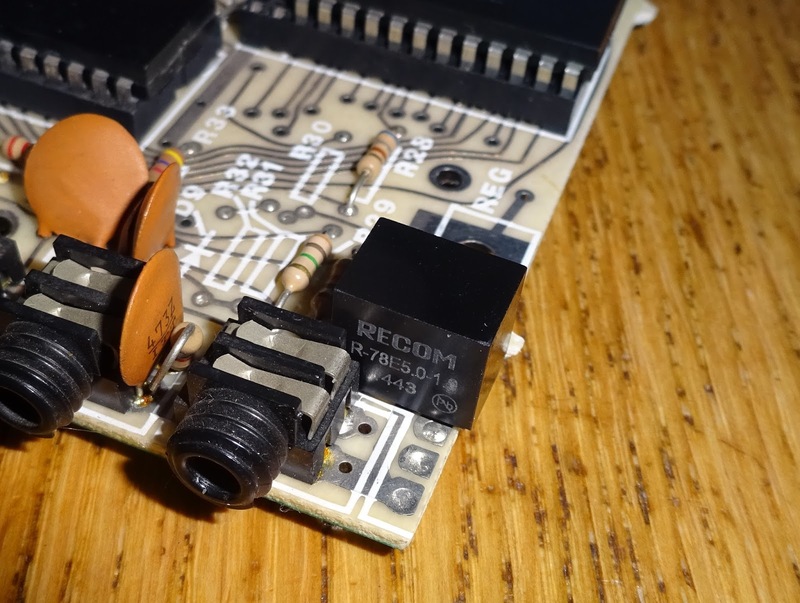 This was part of the 'upgrade all the stuff on my ZX81' package, so I also replaced the 7805 linear regulator with a switch mode version. 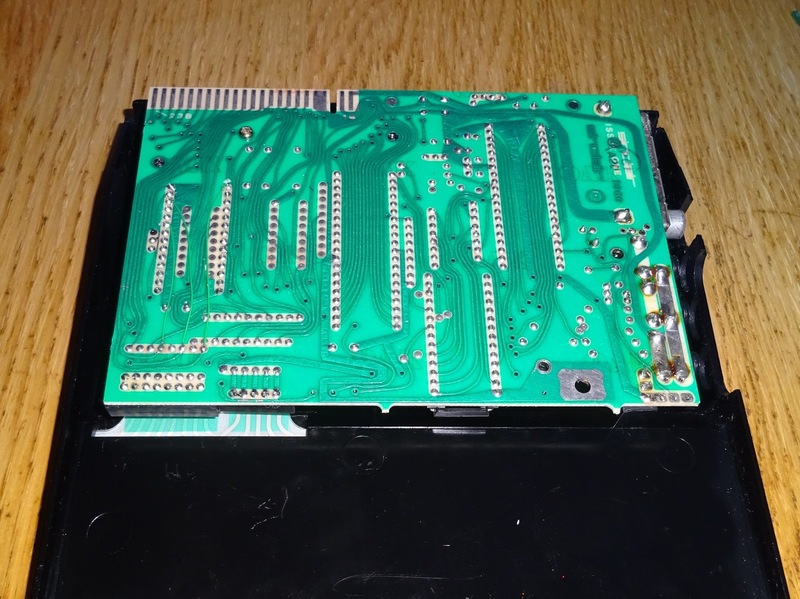 The original 1K RAM was swapped out for 16K internal RAM, and a new membrane fitted. Time for the compulsory testing. 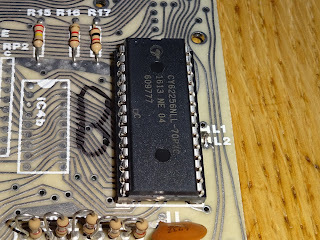 There is an accompanying blog post showing the same modification on the Timex Sinclair TS1000.